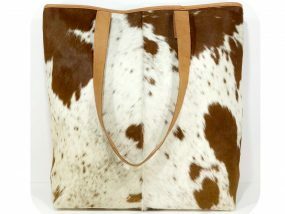 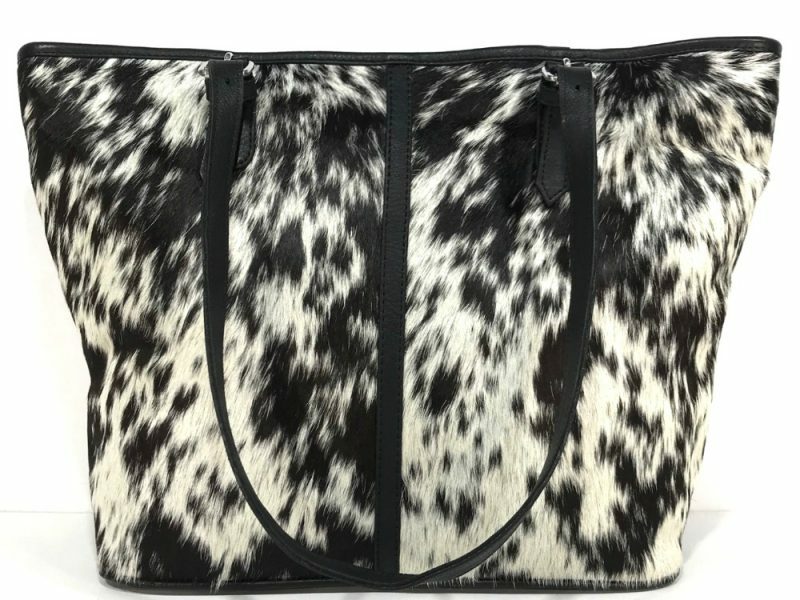 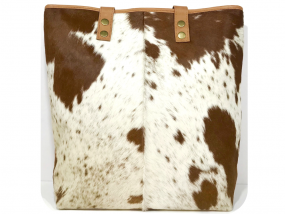 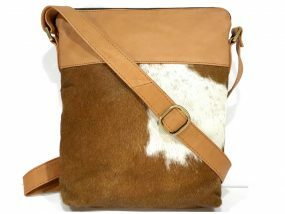 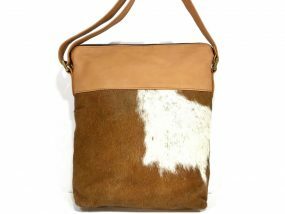 Stunning genuine cowhide leather tote bag. 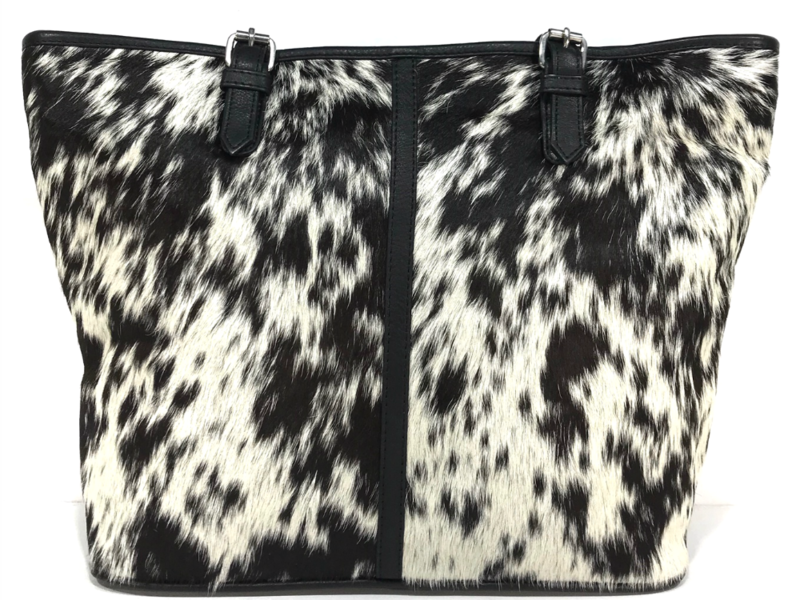 Features double hair-on front panel in natural black cowhide, black leather backing and silver metal fittings. 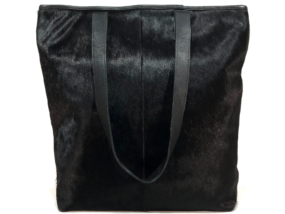 Main compartment features complete zipped closure and is fully lined with black fabric. 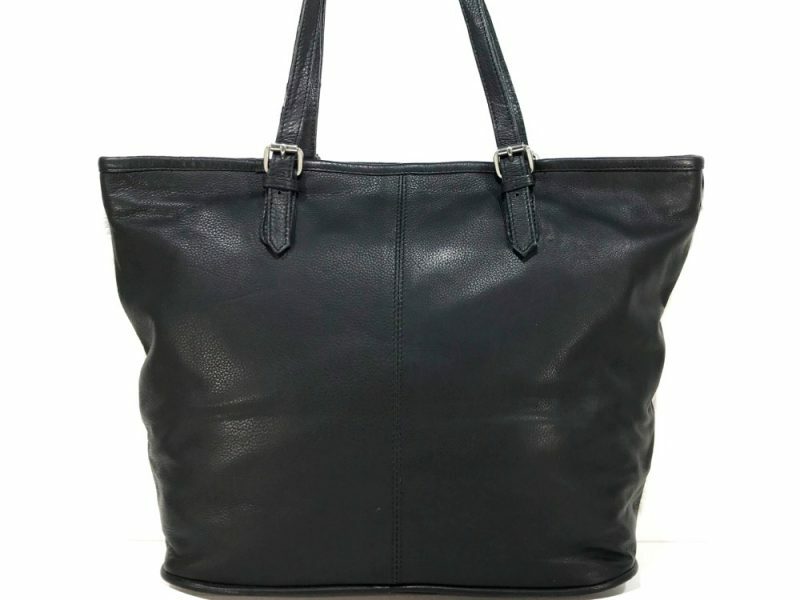 Spacious internal storage capacity with large internal zipped pocket and 2 open pockets.